All the danger, none of the personal risk. The little car with the big payload hits the streets of Los Santos, ready to be customized with a range of explosive surprises including Kinetic and EMP mines, plus a collection of unique visual modifications and more. If you want the pleasure of seeing your enemies flee in panic from a speeding toy car, this is the only game in town. 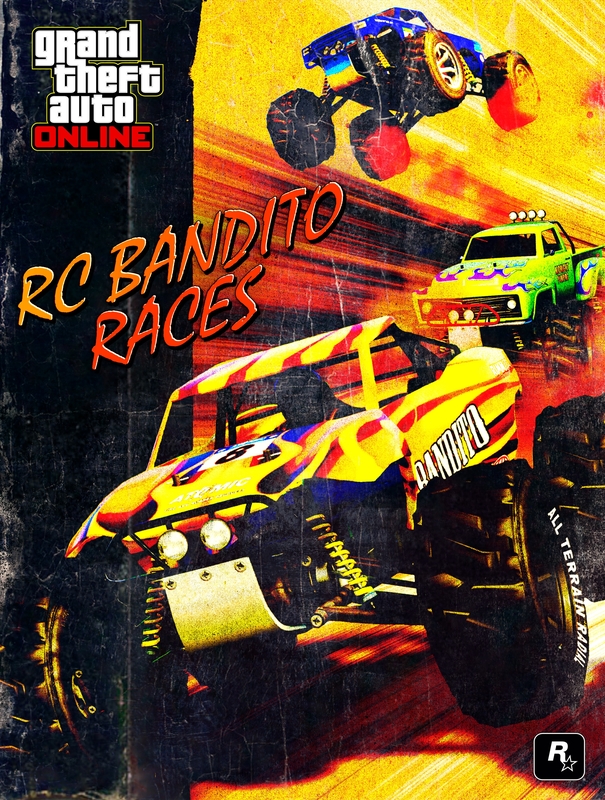 Arena property owners can head over to Southern San Andreas Super Autos today to order the RC Bandito, which is delivered to its own full-fledged workstation in your Arena Workshop that lets you modify it, with everything from the aforementioned mines and explosives to unique liveries, lids and vertical jumping capability. Once you've detailed your RC Bandito to your liking at the workshop, deploy it at any time by bringing up the Interaction Menu and selecting Inventory. No workshop? No problem. 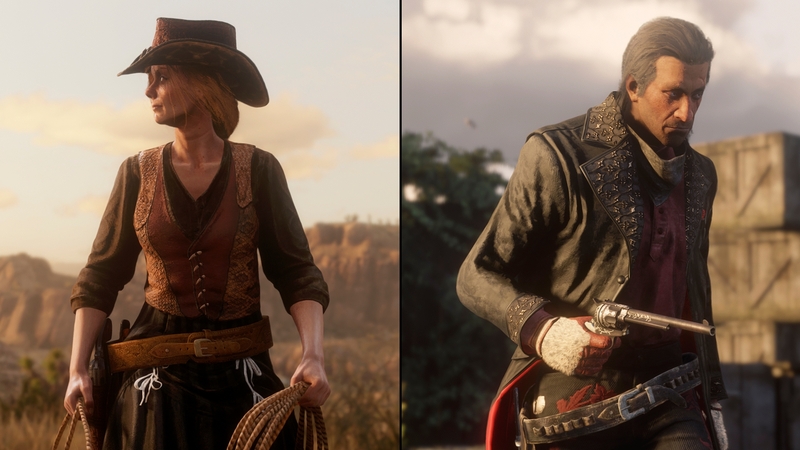 While custom variants are welcome, you don't need to own the RC Bandito to jump into any of the 8 all-new RC Bandito Races, paying out Double GTA$ & RP. RC - All Downhill From Here: Ah, the sights of north Los Santos. 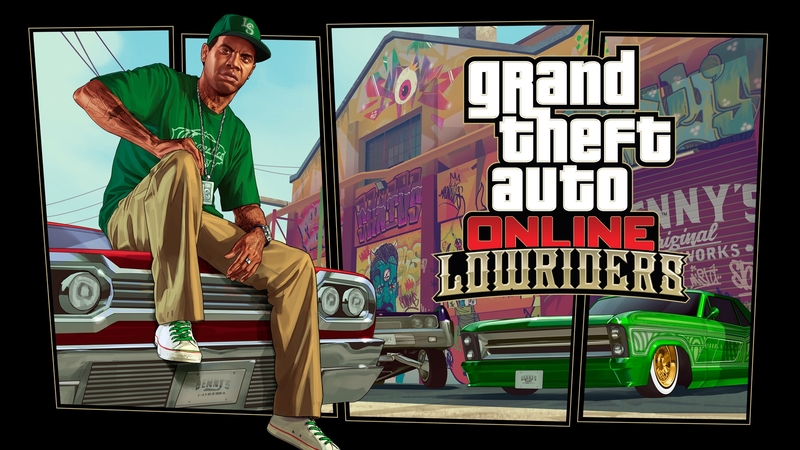 The majesty of the Galileo observatory, the luxury of the Vinewood Hills, the splatter of collateral damage as hordes of tiny weapons-grade cars enter a collective death spiral just before the finish line. RC - Trailer Park Dash: In Sandy Shores, there are three rules: Trust your peripheral vision. Make friends with your fight or flight reflex. And if you hear something that sounds like an RC Bandito driven by a homicidal maniac, it's already too late. RC - Air Traffic Control: It's a frat night classic: wait till the security teams are occupied, throw your turbo-charged RC cars over the fence, and race a few laps around the main runway at LSIA. Last one across the line gets the cavity search. RC - Beach Please: If you want a real cross section of high-end humanity, head to Vespucci Beach. Sunbathers, bodybuilders, families, flirting couples: every single one a perfect target for a remote-control truck to the shins. RC – Docking Around: Who doesn't remember spending the summer vacation racing remote-control cars around LS docks? Jumping the cranes and cargo ships, knocking each other into the water, getting under the feet of the occasional smuggler. There's always time to relive the good old days. RC - Paleto Bae: The good citizens of Paleto have always enjoyed the simple life: heavy drinking, small arms fire, 'accidentally' kissing your cousin, and now a really tight course for RC cars. RC - Go for 'broke: When the guards at Bolingbroke aren't playing Hide the Human Rights Treaty, they need to blow off some steam. Turns out straight laps of the perimeter in an RC Bandito are just the ticket. RC - Tee'd Off: Fore! There's no hole-in-one quite like a remote-control car right between the other guy's eyes. In addition to earning Double Rewards in today's new fun-sized tracks, launch into any Rockstar Stunt Race and earn Double Cash and RP through February 6th. Plus, get amped up for this weekend's big game via our own vehicular interpretation of three yards and a cloud of dust, as Running Back (Remix) is matriculating Double GTA$ and RP up and down the field all week. As the result of a class-action settlement with the citizens of Los Santos, Alan Jerome Productions – the fine people who brought you the blood-thirsty hybrid of automotive combat and gladiatorial competition that is Arena War TV – has been ordered to compensate the people of Southern San Andreas with up to GTA$1M each. Jump into GTA Online each weekend in February and you'll be awarded a GTA$250K gift that will be waiting for you in your Maze Bank account when you log in the following weekend. 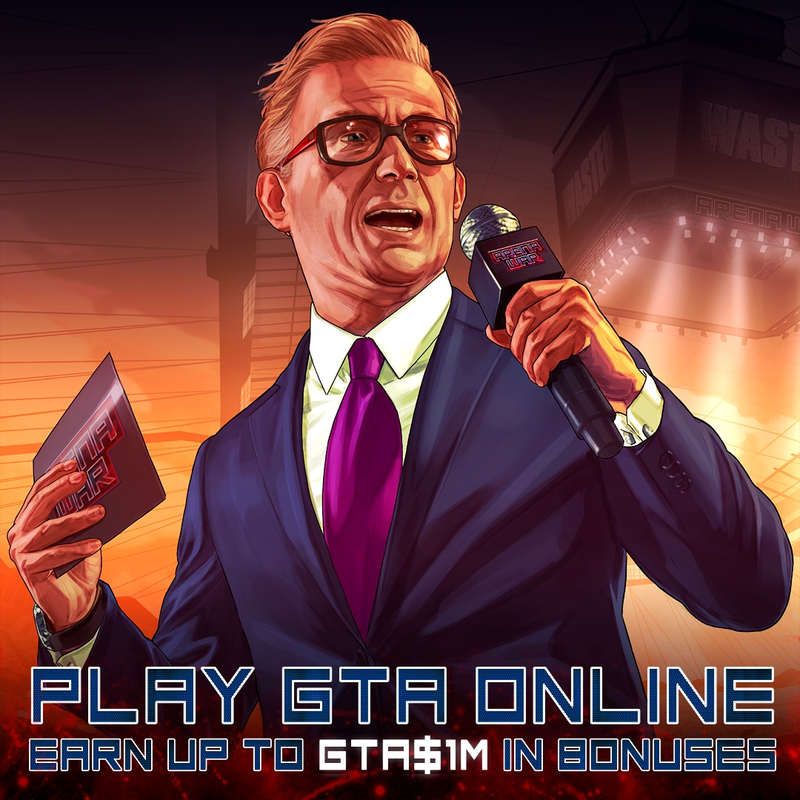 And while you’re in there, take your best shot at Arena War competition (or watch safely with a beverage from the Spectator Box) and jump into a range of gameplay across GTA Online with GTA$ and RP bonuses all month long including upcoming double cash on Gunrunning Sales, Doomsday Heist Finales, fan-favorite Adversary modes and more. Stay tuned for more details in the weeks ahead.